Endlessly fascinated and inspired by the beautiful unfolding of how I may be of service to spirit and to others , the divine light within and the witness of all the divinity that surrounds me. Science, art, music and dance feature throughout my day as examples of our beautiful and contrasting perceptions, culminating into thought form and action. I see everything as a creative process, and my practices are devoted to celebrating and uplifting myself and others and consciously deepening the connection between individual and the collective, the finite and the infinite. Having taught full time since 2007, my life is dynamic and rich in feeling, yoga is most simply yet profoundly the corner stone of my being-Yoga is the practice of awareness, a willingness to explore the paradox, the yin and yang, and the discovery of that centre between those seemingly opposite poles. I live with a deep gratitude for the guides and teachers that have crossed my path for they have taught me about myself, by body and the spirit of my soul, for my friends and family, that special someone who reflects nothing but light and makes me laugh right down to my belly, and my Sofia. When I’m not teaching, I’m dancing limon release technique, catching my breath as i stretch my limbs through the the air, leaving light trails, shaking up my shakti at Salsa, singing, writing, cooking, designing, reading art/philosophy, psychoanalytic studies/tantra/buddhism, poetry and literature, sitting in nature, Practicing and cuddling my friends, family, My Love and my Sofia. I have run feminine focused book clubs across London since 2015 and the lunarsisterhood with Charlotte (monthly full moon gatherings throughout 2017) This includes info for a monthly coming together of women interested in raising internal awareness, sharing responses to the literature, personal stories, deepening understanding of life and it’s many facets and forms pointing at the interconectedness between all things. I teach a Feminine Fire vinyasa Practice designed to stoke our feminine fire, strengthen and inspire a powerful and transformative shift in mind and body. I was gifted a Name by my Kundalini teachers-Anand Kamal Kaur and invites us to connect to our root (pelvis and pelvic floor) and Root chakra and bring about greater conscious awareness and sensitivity to this part of ourselves as women and raise this awareness upwards towards our heart and Mind. The practice works with on the physical and subtle (energetic) Body relationship. The practice is deeply transformative. The application of mudra creates specific pathways for energy and travel and move through, leading to states of awakening and all embracing sell love and compassion. The practice has affects the physical and energetic relationship to our pelvic floor, our personal power, our connection to our creativity, our sensuality, language, communication and our relationships. The practice leads us to a greater understanding of our moon cycles, and all the physical, mental and emotional expressions it has throughhout the month and on our energy levels, on our psyche and relationships. I also teach a lotus mudra sequence cultivating a deep sensitivity towards sensation, thought and intention that acts as a platform to feel how the relationships and responses we have to sensation, ideas and experiences all create our perception and reality. The practice has profound influence of the mind body relationship and the well being of the body, menstrual cycle and the changes that occur with childbirth and menopause. The practices are shared through a women circle, with general info shared on the Divine Collective Facebook page. These pages are both invite only, pls contact me directly for access. I have taught workshops in The UK, Germany, and Bolivia. I have run retreats in Spain, Italy, Greece (Evia) and Crete. I have also taught professional dance companies and for the Royal Academy of Dance at The Royal opera house to increase artistic and performance ability. I’ve been hosted by The Om Yoga Show london for 2 yrs, with articles featured in their magazine. I have also been featured in Women’ Health UK magazine and online for Elephant Journal. 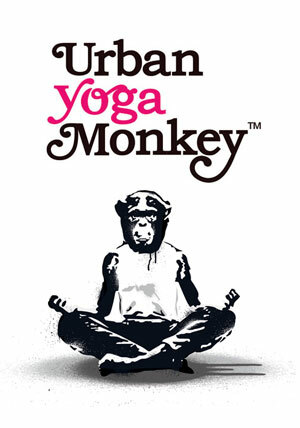 I teach on several online platforms-www.Instructorlive.com, www.grokker.com and on my Urbanyogamonkey Youtube channel. You can find out about the classes I teach here.